I never feel like a room is finished until I have hung all the artwork that I have planned for the space. 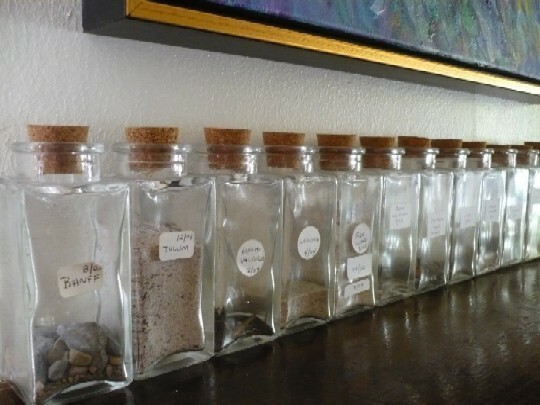 I even like to hang 3D objects, like musical instruments, objects found in nature, and travel momentos. It helps that you can find frames for almost anything these days; shadow box frames, digital frames, puzzle frames, memorabilia frames, etc. It's not always so easy to decide how to arrange these items in their respective frames, or how to arrange the frames on the wall. 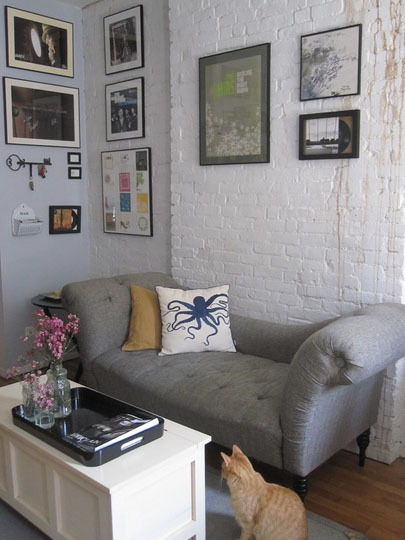 Here are some ideas for displaying and framing various art and objects. Ledges, as seen in the two images above, are probably the least expensive and require the least commitment. When thoughtfully arranged with your objects are art, they can be really special. On the left hand side of this image you can see some 3-D objects nicely composed with some traditionally framed art. If the objects were just floating in a space on their own they would not look like art, but more like an after though. 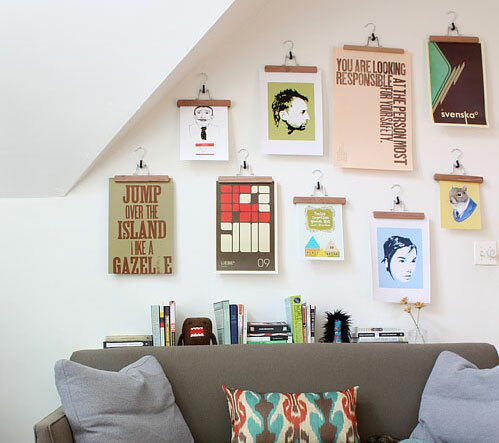 Trouser hangers are a cool way to hang items that you may want to change out frequently. If you have a fabric fetish, you could even have your latest fabric purchases on display. 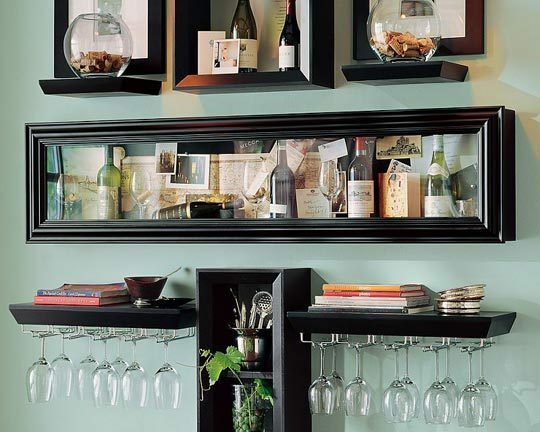 If you have many objects that fit into one theme, like wine, coordinating display frames and shelving may be the easiest way to fit your needs. 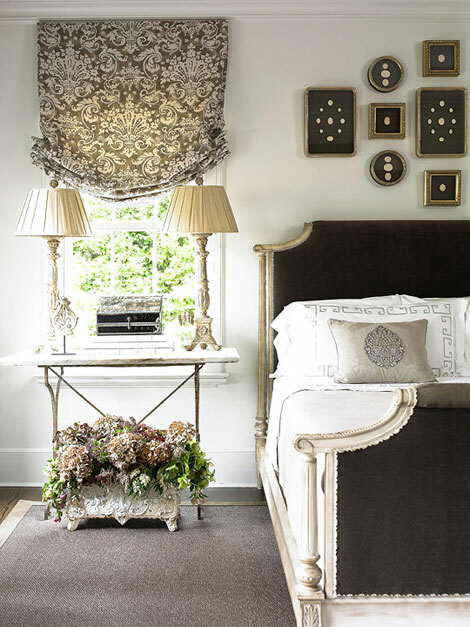 Antique intaglios are framed and displayed above the bed here, but it's also a pretty way to display coins or sentimental but never-worn jewelry.